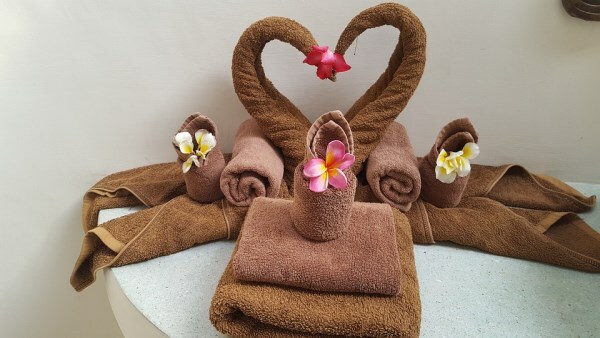 Towel swans from a hotel in Egypt, using striped towels. 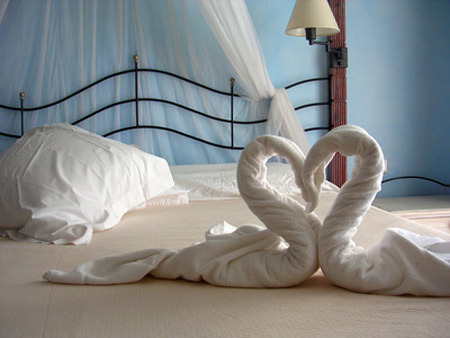 The thick, black and white stripes help tip the scales closer to chic than cheesy. 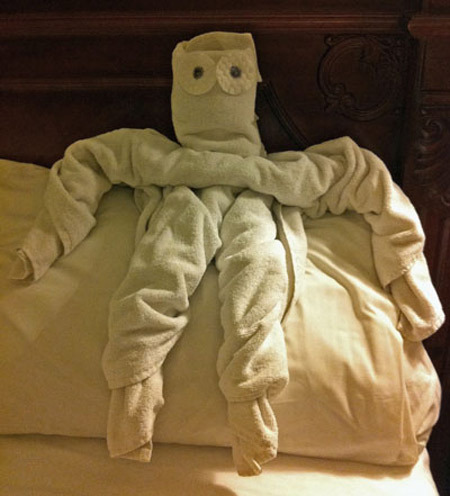 A Ninja, right? 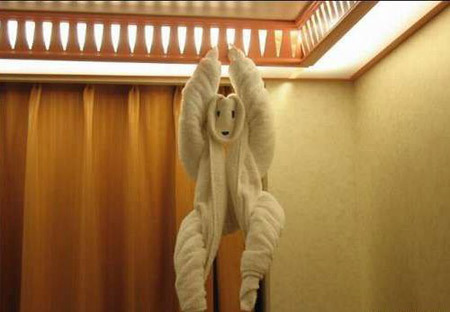 It's supposed to be a monkey, but we like the idea of cleaning crews toiling away folding up Ninjas a lot better. 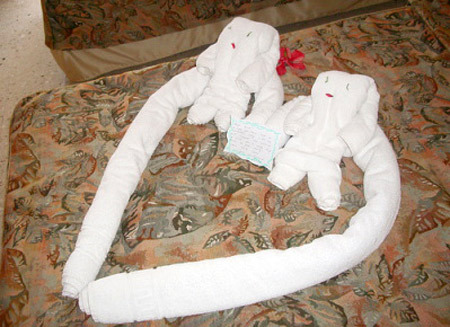 A Nile crocodile origami towel in Cairo, Egypt. 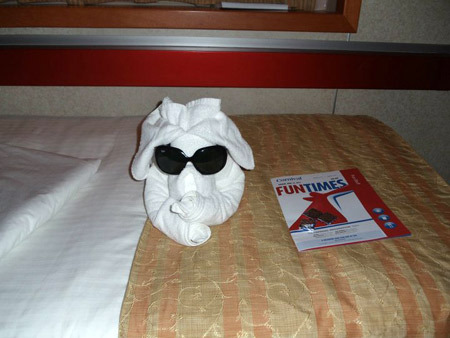 Don't forget your sunglasses on your next cruise or this may occur. 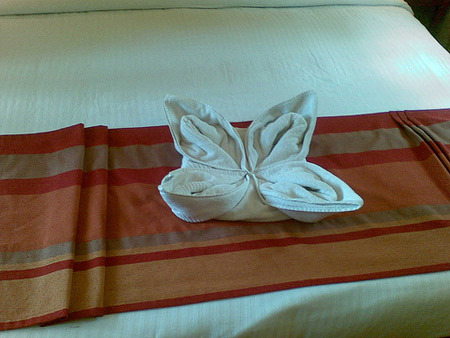 Yes, hotel origami towels are still alive and well, at least at the Hotel Las Cuevas in Trinidad, Cuba. 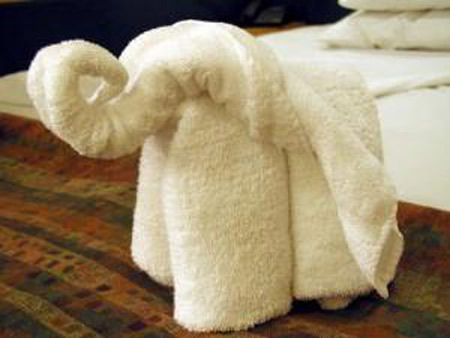 Elephant made out of folded towels. 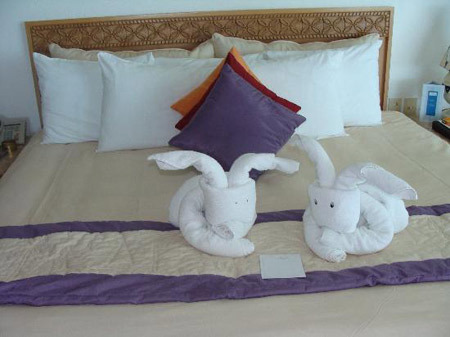 These bunny towels appeared in the Villa Premier Hotel, Puerto Vallarta, Mexico. 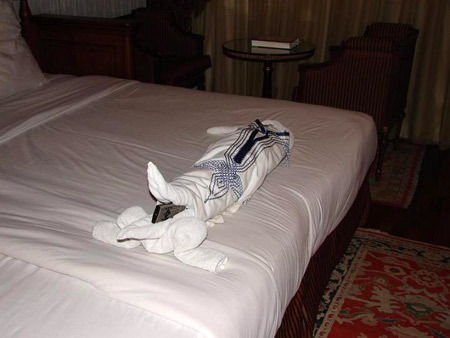 Creepy man at Kalabsha Hotel, Egypt. 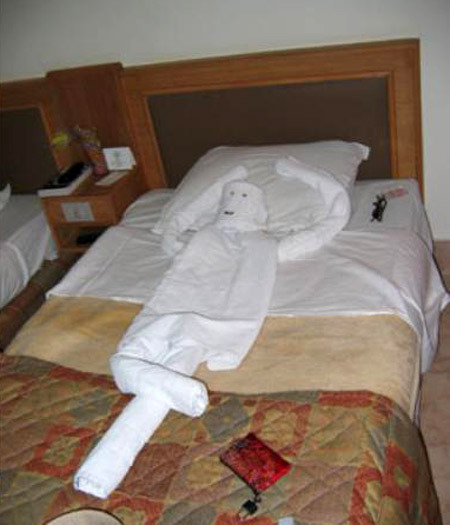 The housekeepers in this hotel have too much time on their hands.